Looking for a cheap Chrysler, Jeep, Dodge, or RAM around Moses Lake or Ephrata? Look no further than the 28 used vehicles under 10k for sale at our dealership in Wenatchee, WA. Not only are our vehicles inexpensive with good mileage, but our selection is wide: here, you can expect to find pre-owned vehicles under 10k from CJDR, as well as vehicles from leading manufacturers such as Chevrolet, Ford, and Volkswagen. While you’re here, feel free to explore our pre-owned vehicle inventory – or even our pre-owned vehicle specials inventory. Then, apply for financing today. White 1989 Toyota Celica GT FWD Manual 2.0L I4 FI We Love this Town!!! Recent Arrival! Silverstone Metallic 2004 Chevrolet TrailBlazer EXT LS 4WD 4-Speed Automatic with Overdrive Vortec 4200 4.2L I6 MPI DOHC 4WD, ABS brakes, Alloy wheels, Front dual zone A/C, Illuminated entry. We Love this Town!!! Recent Arrival! Black Cherry Mica 2008 Mazda CX-7 Grand Touring FWD 6-Speed Automatic Electronic 2.3L I4 DISI MZR 16V Turbocharged ABS brakes, Alloy wheels, Electronic Stability Control, Heated door mirrors, Heated front seats, Heated Reclining Front Bucket Seats, Illuminated entry, Leather Seat Upholstery, Low tire pressure warning, Remote keyless entry, Traction control. We Love this Town!!! White 2005 GMC Envoy Denali 4WD 4-Speed Automatic with Overdrive Vortec 5.3L V8 SFI Gen IV Vortec 5.3L V8 SFI Gen IV, 4WD. We Love this Town!!! Recent Arrival! White 2006 Ford F-150 XLT 4WD 4-Speed Automatic with Overdrive 4.6L V8 EFI 4.6L V8 EFI, 4WD, ABS brakes, Compass, Illuminated entry, Remote keyless entry. We Love this Town!!! Recent Arrival! Blue 2005 Ford F-250SD XL RWD TorqShift 5-Speed Automatic with Overdrive Power Stroke 6.0L V8 DI 32V OHV Turbodiesel Power Stroke 6.0L V8 DI 32V OHV Turbodiesel, ABS brakes. We Love this Town!!! Recent Arrival! 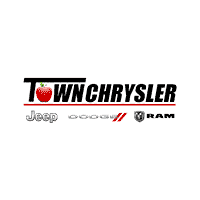 Why Choose Town Chrysler Jeep Dodge Ram? There are plenty of reasons why drivers from Yakima to Ephrata choose our dealership. Of course, we have a great selection of cheap used autos, but we also offer a rotating panel of service specials, so that routine maintenance on your used car doesn’t pinch the pocketbook. In addition, we’re always staying updated on maintenance tips and tricks. So feel free to follow our blog for the hottest auto news. What we prize most, however, at our Wenatchee dealership, is our superlative customer experience: here, we’ll treat you like family. This unforgettable dealership experience is why Ellensburg drivers choose us, and why you should, too. Ready to explore our used vehicles under 10k or our dealership experience? Contact us today.